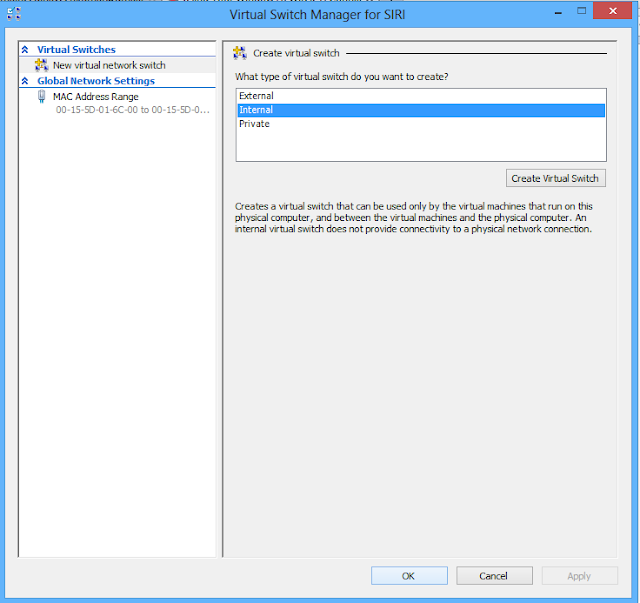 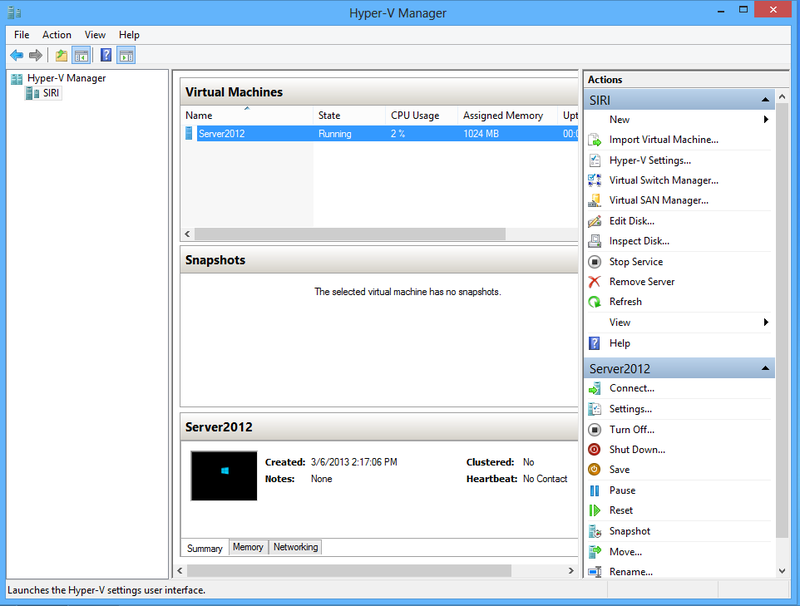 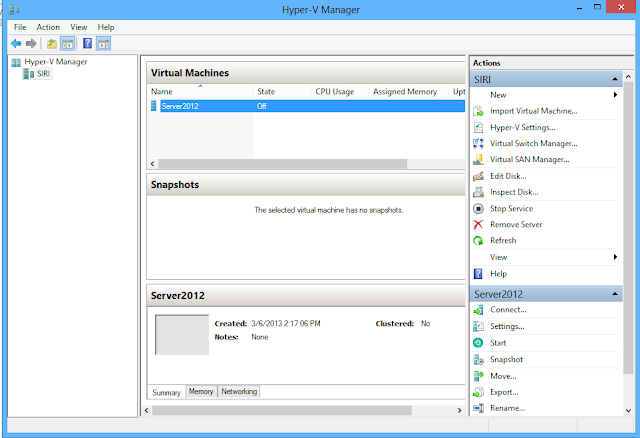 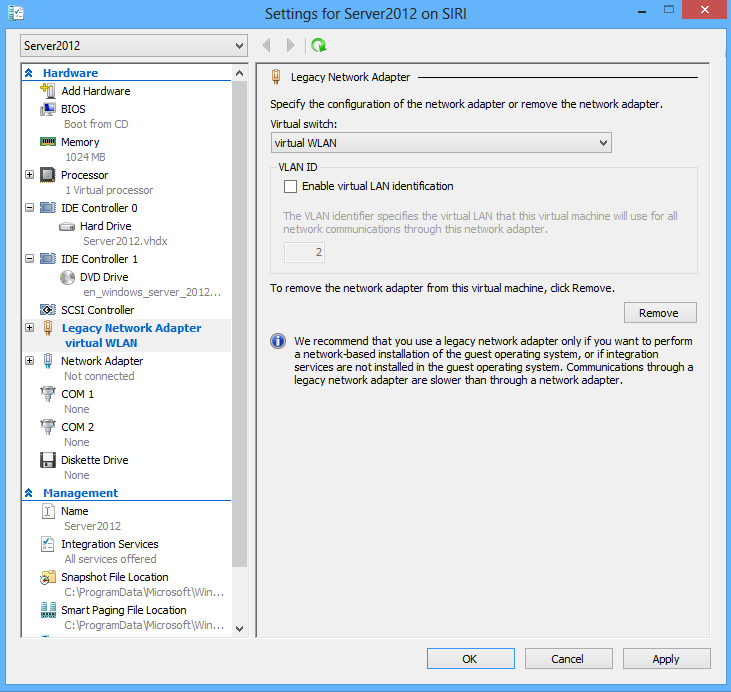 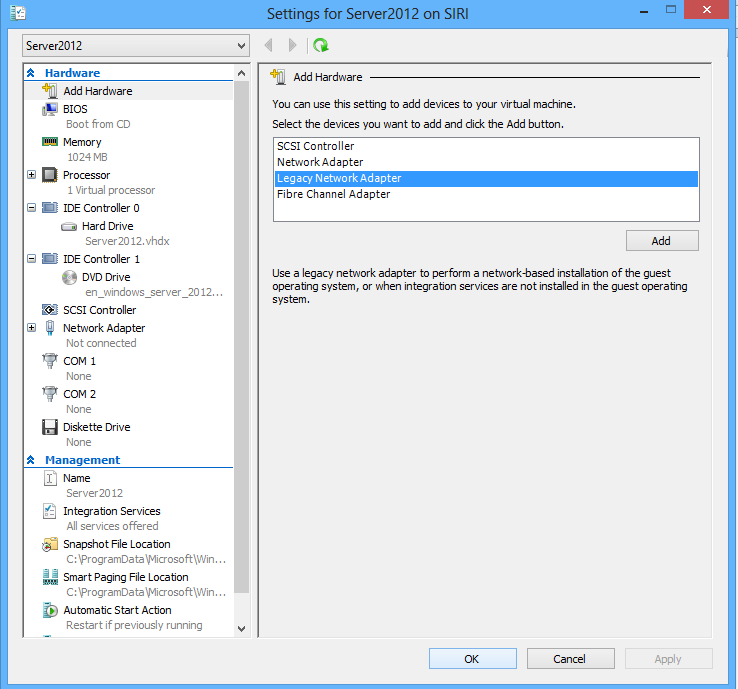 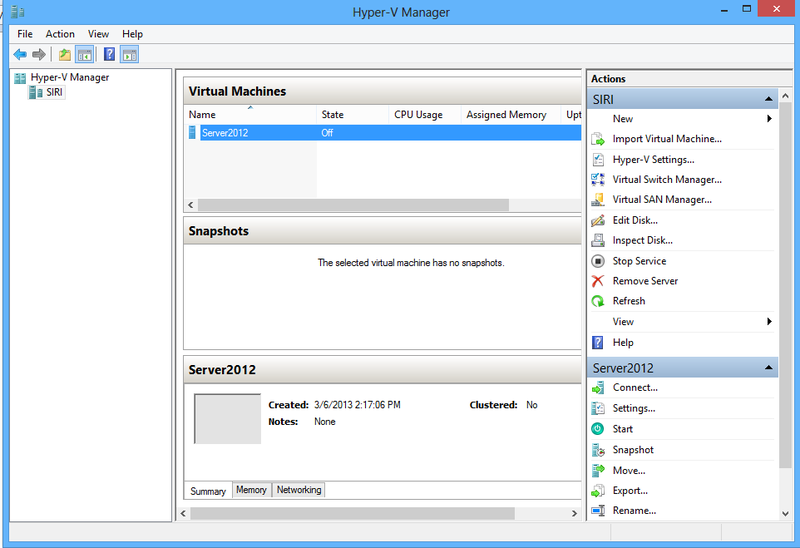 The Hyper-V Virtual Switch is a software-based layer-2 network switch built into Windows 8’s Hyper-V Manager. 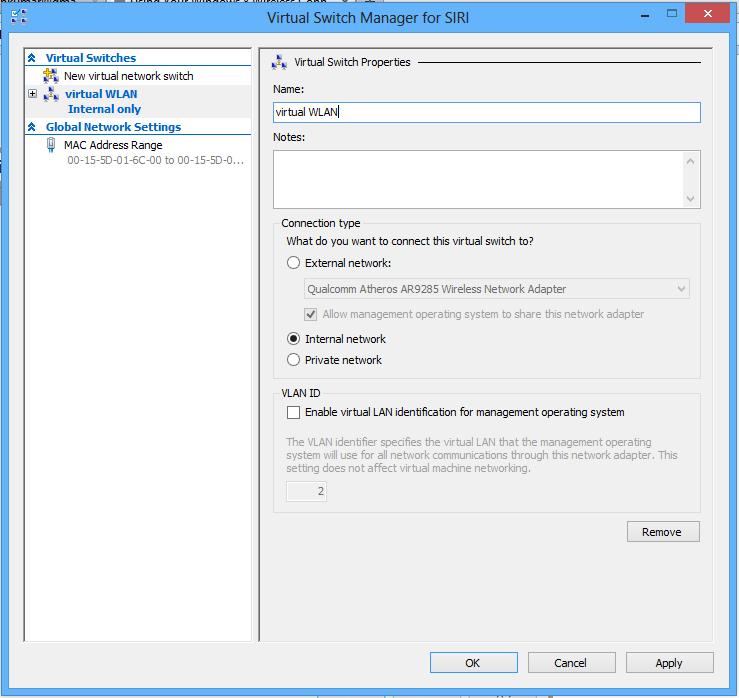 The switch allows you to connect virtual machines to virtual or physical networks. 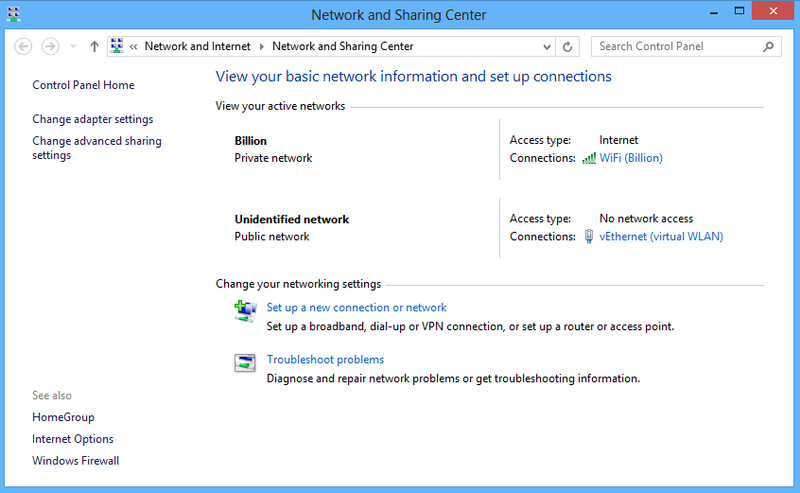 In this case, we will be setting up an internal virtual network adapter to support communication between the laptop running Windows 8 and the VM running Windows Server 2012. 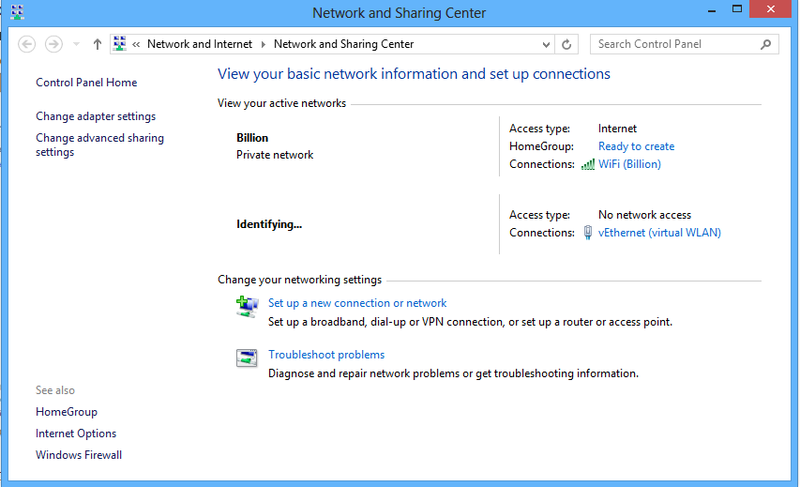 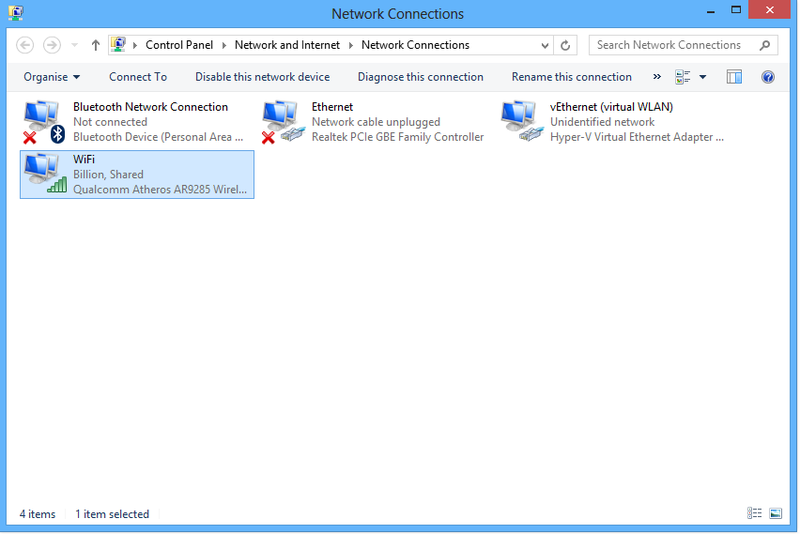 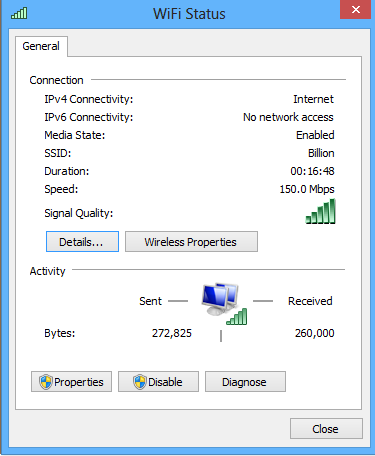 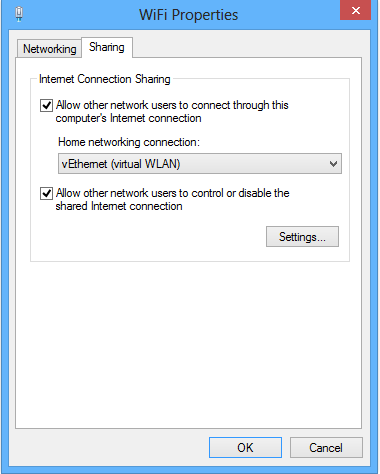 In Windows 8 sys tray, right-click on the wireless icon and click on “Open Network and Sharing Center.” You will see the new Unidentified Network connected to the vEthernet (Virtual WLAN) adapter. 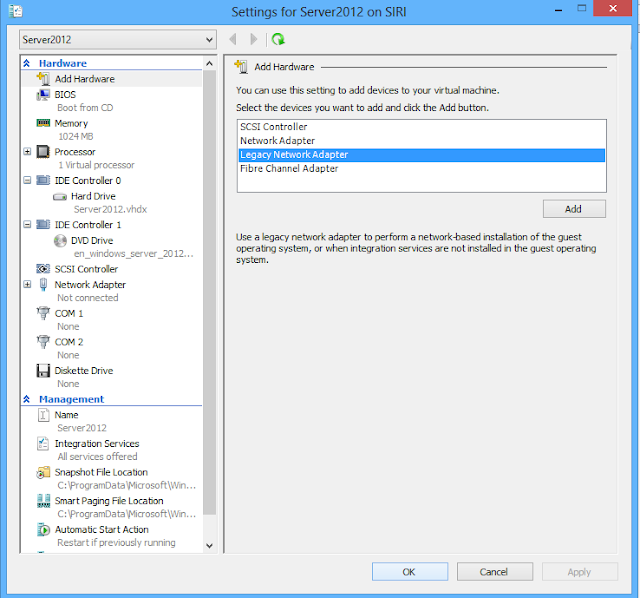 To confirm you have it setup correctly, click on the “Change adapter settings” link. 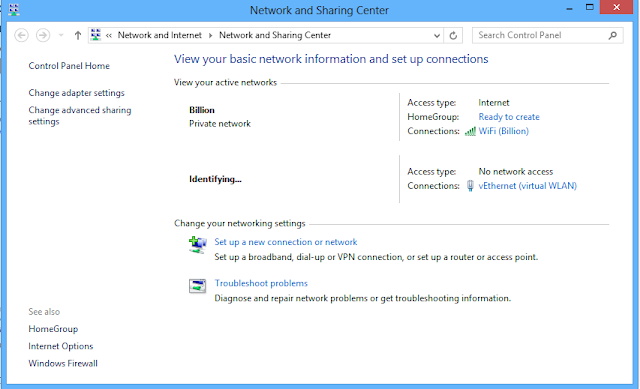 You should see the word Shared beside your wireless connection.